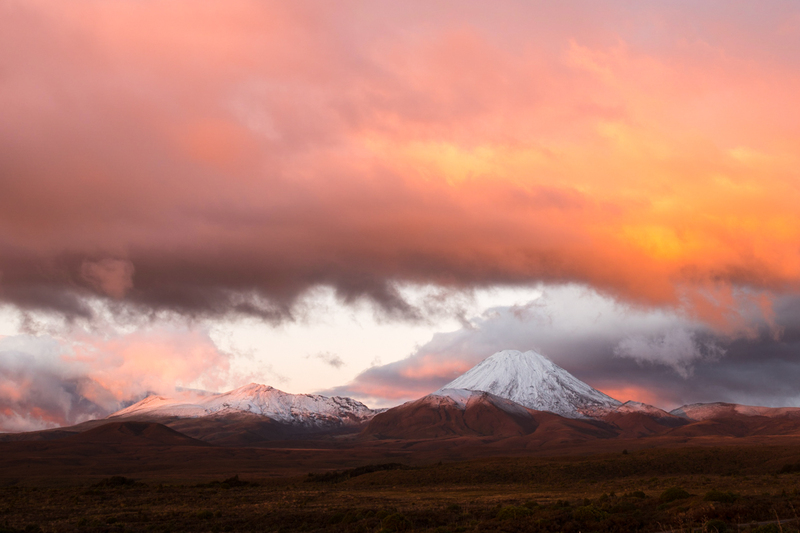 This 3-day privateTongariro tour allows for a flexible itinerary, and our experienced local guide will take you to the best locations based on the weather, the time of the year and your photographic objectives. No matter what level you are working at with your photography our bespoke tours can take you The tour price is for 1 or 2 peoples based on a twin share/double room at Skotel Alpine Resort. Depending on your objective, we have lots of options today. We will explore some of the many short, easy walks in the park. This will include one of the parks best nature walks, capturing amazing rainforest and bird life around a beautiful forest lake. Today there is also the option to take an extended hike on one of the park’s finest walking tracks. This crosses undulating tussock country and alpine herb fields to end up at a volcanic crater lake at the base of Mt Ngauruhoe.